Trompetol Pomada Extra, is an innovative natural ointment of hemp, highly effective and made by a unique process, from vegetable and organic materials. 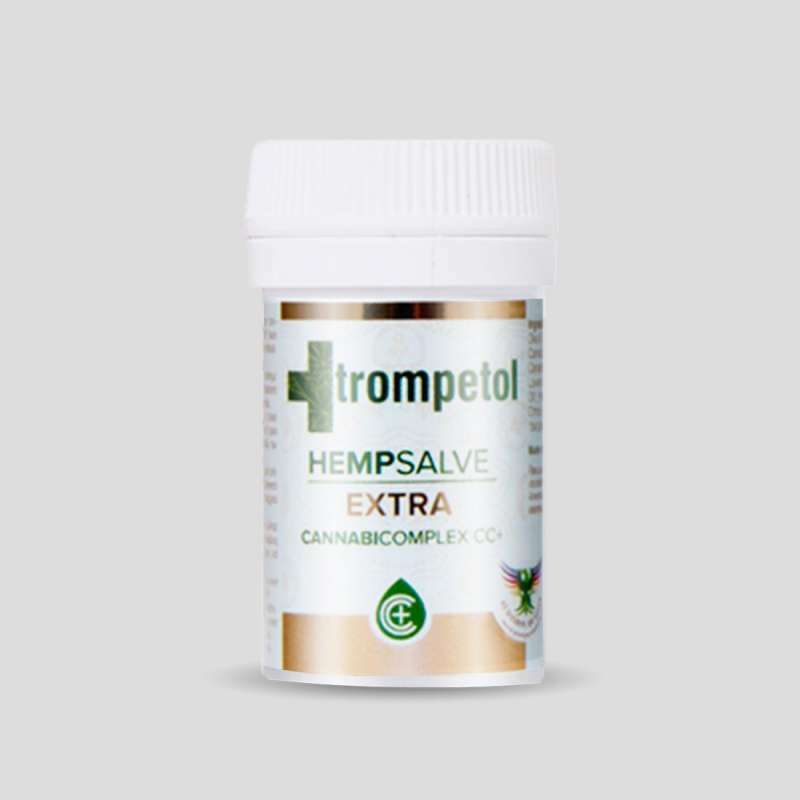 The special synergy created between its natural ingredients, where we find a mixture of olive and hemp oils, which together with the essential oils of mint, lemon and lavender, as well as the natural extract CC + (Cannabinoid Complex plus) and the contribution of the essential acids Omega-3 and Omega-6 and innumerable antioxidants,nourishes and protects the dermis in an exceptional way, offering benefits and properties especially soothing, antiseptic, moisturizing, the skin against external undesirable agents. 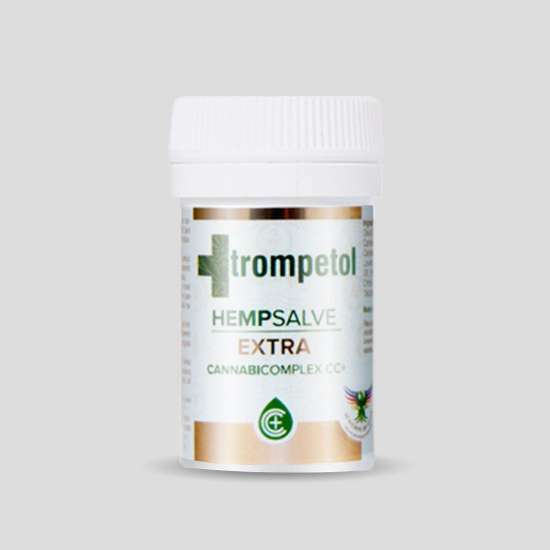 Trompetol Pomada Extra has been developed and formulated on the base of a wide knowledge in the effects and operation of the natural substances in the organism, besides being a natural alternative to the chemical products. 1 – 2× daily as needed, apply it to your dry or irrated skin or body part. 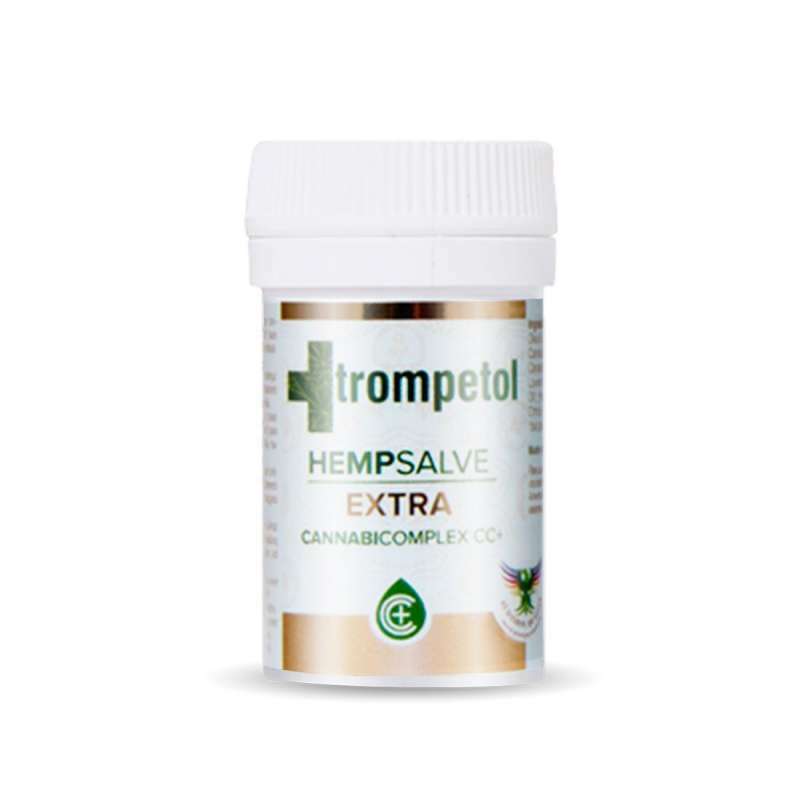 Rub gently and massage the salve onto your skin – this will increase the local blood circulation and will also improve the absorption of the active herbal substances.